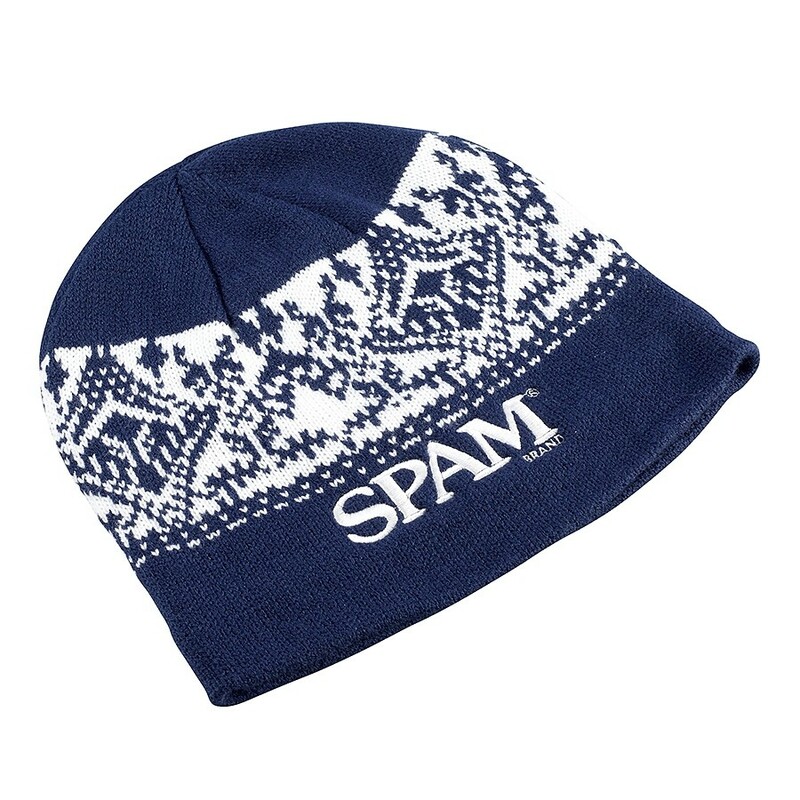 Navy and white nordic patterned stocking hat. SPAM® Brand logo embroidered in white. Fleece lined. One size fits most.